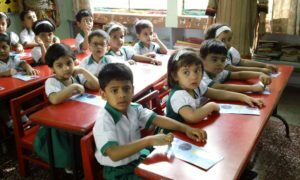 Education has turned a significant subject of discussion at national and international level lately. 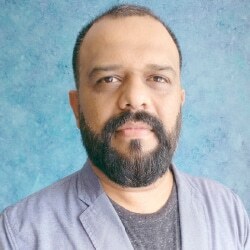 When we mention transformation of education, it means evolution of the system in tandem with the global socio-politic-economy, writes Jitendra Karsan, Chief Executive Officer, Safari Kid, for Elets News Network (ENN). Based on the current social reality, the next decade is set to actually change many of our fundamental relationships – with ourselves, within our organisations; and with systems and societies. This will be seen naturally in education landscape, where institutions will not be just education or knowledge providers but will become torchbearers of culture, openness and a global outlook and acceptance towards diversity. Though much has been done for the Indian higher education system, primary and preschool education received only a little piece of the pie. Preschool education is more of a focal point now than in any other decade. Hopefully, this trend may continue and rise in the coming decade. While preschool education will see more emergence and importance in the coming years, it is also the nuances of pedagogy and methods that will set players apart from each other. For instance, Safari Kid’s scientific approach to learning has been curated by scholars and veterans which has proven to be effective in adapting children to new concepts from early life. Also, Safari Kid pupils have shown to have performed far superior than their peers due to these methods. Apart from the scientific nature of teaching and personalised manner of reaching out to children, three transformations will set the education wheel rolling into a much more evolved spectrum, compared to what it is today. Preschools like ours have been instrumental in helping children learn via structured play and understand concepts by using familiar objects and a differential pace for all students. 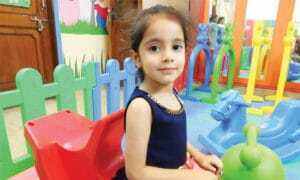 Safari Kid will launch its first preschool in Gurugram in Dec 2017. Followed by 2 more in Delhi / NCR region and 5 more in other metros by March 2018. • Shift from rote learning to experiential learning: Schools are increasingly changing their curriculum to fit a more emergent form of learning, i.e., processes that enable students to learn things by understanding and questioning compared to rote models of learning. It is important that this is inculcated among children from an early age. Preschools like ours have been instrumental in helping children learn via structured play and understand concepts by using familiar objects and a differential pace for all students. 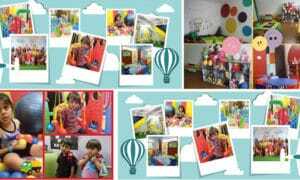 Safari Kid will launch its first preschool in Gurugram in Dec 2017. Followed by 2 more in Delhi / NCR region and 5 more in other metros by March 2018. • Percolation of technology and media: The percolation of technology and media cannot be stopped in our lives. Education in the next decade is most likely to use technology to aide in the process of reaching out to students more than ever. Institutions will accept the need and have more standardised usage of technology for quicker and more efficient teaching processes. New approaches to designing learning experiences will deepen our capacity to personalise learning. • Evolution of institutions’ role: School communities will become points of intervention for societies and their people wherein schools will be one of the crucial sources of information for children. Schools will need to be more globally oriented where different cultures, viewpoints will be accepted and understood. This is actually something that we can boast of at our chain of preschools at Safari Kid.